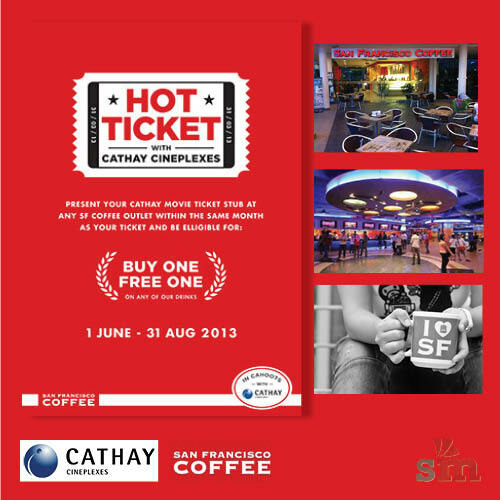 This promotion for One for One with Cathay’s movie Stub is on going and open for the all! - Present the movie stub from Cathay @ eCurve. - Open for the public and so it is not limited to credit cards holders. - Valid for the month of movie purchased. - Valid at any outlet - Any item. Another urgent posting which will end on 30 April is San Francisco Coffee One for One for all CIMB & Direct Access credit & debit card holders! I am currently enjoying mine, how about you? Tastewise, I would say is smooth & does not have the very bitter after-taste like McDonalds for the black coffee. 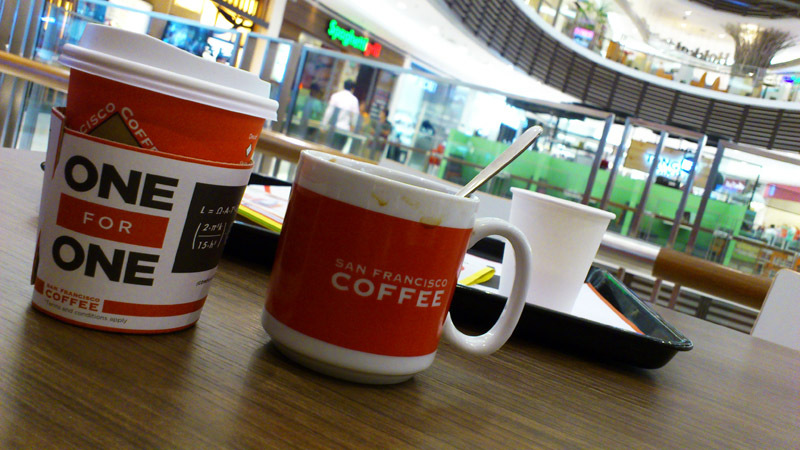 Cannot say much more as I notice the taste may vary from branch to branch for all brands for black coffee. As for ice-blended, I would still recommend Starbuck’s expresso frappuccino for coffee lovers. This entry was posted on Monday, July 22nd, 2013 at 6:56 pm	and is filed under Cafes, Food Promo, Heavenly Klang Valley Food. You can follow any responses to this entry through the RSS 2.0 feed. You can leave a response, or trackback from your own site.